Most of us do not really know what we are worth; we do not know our actual earning potential. But it is necessary you know your weakness and strength if you want to be financially free or independent. Why live in uncertainty when you can discover the actual area should focus on to increase your earnings. The richest men in the world today didn’t actualize their dreams by guess work. They knew what they wanted, broke the visions into plans and they started working towards actualizing them. There is a popular saying that the only limit to what you can achieve is your mindset. If you believe you can always achieve, but you have to know your potentials. I want to tell you that if your income does not match up with your expenses then you are living in debt. If at the end of the month you balance those checks and you found out that you have actually spent more than you saved then you are a “spender”. I was once in this category, I usually could not save up to 10% of my monthly salary and it really was a big problem for me until I stumbled upon Ramith Sethi’s interview on CNN sometime ago. It is advisable that you spend within your limit and live a debt-free life, don’t over stretch your finances. Most people around me live their lives in debt and this does not sound too healthy. Try and live within your means of income. Have you ever had this thought; what if I am relieved of that job today? What will I fall back to? Again, which do you value most, financial freedom or job security? Do you want to keep on following orders as long as you receive the pay check every month? The answer for me is no!! Believe me when I say everyone wants financial freedom, you can’t achieve this when you live above your means. The only way to attain financial freedom is being an entrepreneur! Do you want to be a decision maker? Then start saving, start being innovative, start taking risks and stop thinking you can only survive by working for someone. Let me also remind you that as a full time or part time employee you can also be an entrepreneur. An entrepreneur is someone who does things in a new and innovative way. Are you innovative? Even on your current job are you innovative or you keep doing things the old way? The truth is if you are not working as an entrepreneur in your current job, then you can’t be an entrepreneur while you are on your own. You can live the life you want if you work hard enough for it, the only way you can be in total control of how much you make is being innovative. Making more money improves the quality of lifestyle you live. Note: if you don’t like changes, then you are not an entrepreneur! If you are not an entrepreneur, then you must learn to be a ‘HUSTLER’. You must keep learning and constantly seek to improve. Always know there is more to achieve and strive to get it. Try to get close to people with great minds. The greatest gift you can get from a wealthy man is not money, but his mindset. 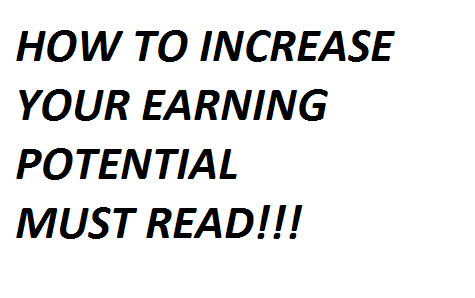 I am going to give you one simple method on how to make money on this article and on my next article I will teach you some more. Now let’s go! It’s really sad when I see people shopping and they do not attempt to price or negotiate. Most of your bills today can be negotiated and you can save much more money. How about saving up a massive N10,000 on your phone recharge card bills? The very best place to start is your network carrier. Network providers and internet service providers have a wide range of business models just to cajole new customers. In the process of finding new customers network providers mostly in Nigeria tend to be subtle. Here is how you can take advantage of this. ð Find cheap plans on call rate and data bundle services from other network providers, now note down your findings on minutes you get, bundle size and cost. ð Now contact your network provider and tell them your findings, be nice in asking them what other plans or packages you could migrate to. But if they insist there is none, do well to inform them about your findings about other network carriers. They sure wouldn’t want to lose you to their rivals. Just imagine how much you save per year when you pay N1,000 for data subscription monthly instead of N2,000. That’s a whooping N10,000 per year. Remember an entrepreneur must be a goal getter!! 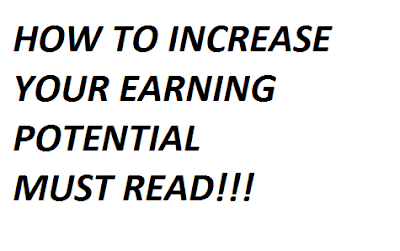 Make sure you read my next article on how to become rich.